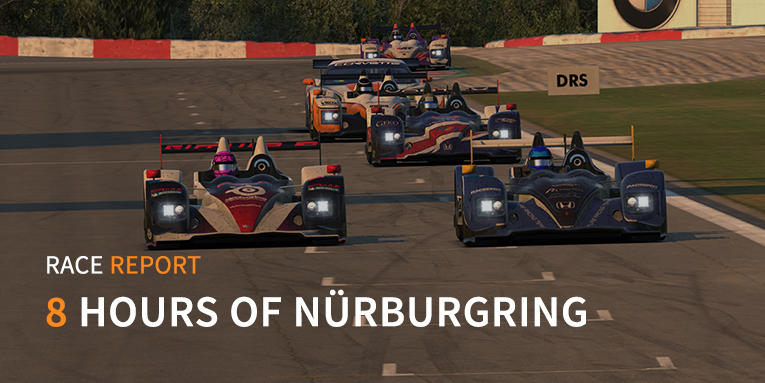 The paddock was at the iconic Nürburgring for the season finale of the NEO Endurance Series. Due to some late withdrawals the grid was slightly smaller than usual. Only 31 took the start for the final eight hours of the season. Throughout the whole field an amazing race unfolded. The battle for the win in prototype, and overall, was amazing. Multiple teams were pushing it to the limit and sometimes went over the limit, resulting in a penalty from race control. From the start till finish there was a battle for the win. VRS Coanda Simsport led from pole for the first 46 laps, until a technical fault and time loss put them further down the standings. Pure Racing Team then took over the lead until further in the race where Radicals Online started battling with the front running team. Positions were swapped, paints was swapped and viewers saw a great spectacle unfolding in the dying minutes of the season. 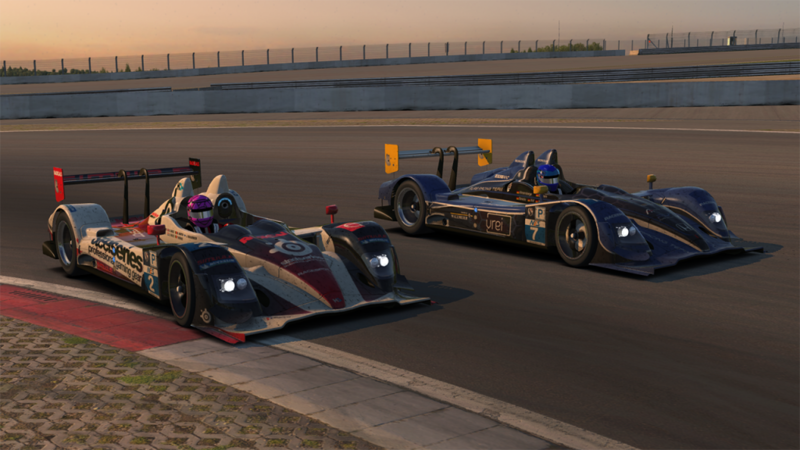 In the end Radicals Online managed to win in front of Friction Racing, with VRS Coanda Simsport in 3rd after a strong fight back from earlier issues. Pure Racing Team was struck by yet another technical issue of this race and finished in fourth position. Behind the top four cars, Odox Motorsport had a quiet race finishing a season best in fifth position. With this finish they ended in 8th in the championship just 4 points ahead of Revolution Racing. Geko Vortex SimRacing came home in sixth, Gathering of Tweakers and Index SimRacing in P7 and P8. The championship points were evenly spread in the Prototype class throughout this race, but winners VRS Coanda Simsport (285pts) and Radicals Online (267pts) in second place stood out, after a very strong season. Speed, stability and the will to do it was key in their success. 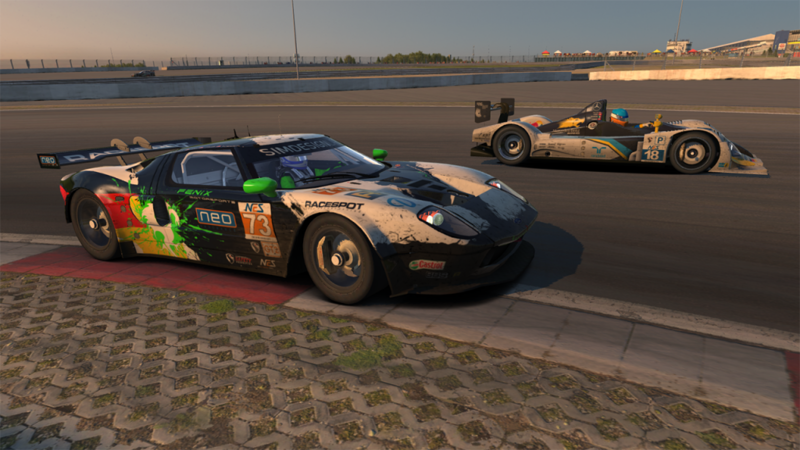 In 3rd position Friction Racing made a great effort with strong finishes in all races except for a DNF at Watkins Glen. Congratulations once again to the podium of the Prototype class! Back to the race, Thrustmaster Mivano Racing was within reach of the championship but it was not certain yet. Hammer Down Racing was trailing by 43. The battle for the championship was over very quickly after the 65 car hit the wall in the opening stages of the race. Generally the Hammer Down Racing setup seemed very unstable as the team experienced more offs than we have seen in past races. Meanwhile the 31 squad dominated its class like they have done throughout the season from start to finish. Thrustmaster Mivano Racing won its fifth race of the season. Second place finish was for Team Chimera who had a anonymous race by staying out of trouble and being consistent. This was their best finish of the season and a well deserved one. Bonus info: Team Chimera car 54 took their sixth (6!) MSF Award win this race in their class after having done only 11 incidents in 8 hours. The team of Falcon-GP finished third, one lap behind the 54 car. They had also a trouble free race overall. SRN Motorsports had their best finish of the season in the Eiffel with a fourth place finish. The number 55 Corvette of IRDK Endurance finished in fifth after an eventful race. It seems they are often at the wrong place at the wrong time this season. Torque Freak Racing finished in a solid sixth position. In seventh it is the 37 car of Radicals Online GT1. A penalty for avoidable contact cost them a lot of positions. They were fighting back to the top end of the GT1 field, but at the end of the race they spun and suffered from major damage. FRT Hawkers finished eighth. With the fifth win for Thrustmaster Mivano Racing they won the championship in GT1. This was their first season in NEO competition and immediately dominated the class. Radicals Online GT1 finished second in the championship, just by two points over Hammer Down Racing. The colder track temperature was a challenge for the GT2 teams. In this class the teams do not use tire warmers and this was noticeable in the opening laps of the stints. In the first couple of laps the lap times were about three seconds slower than later when the tires were up to working temperature. It showed how slippery the tires were. GT2 champions, SimRC.de, had a rough day with their new livery on the car. Damage to the car caused them to drop back to the end of the field and fight back for the remainder of the race. The 73 car of Fenix Motorsports took over the lead and never gave it away despite some minor troubles. The victory at the Nürburgring is the fourth win of the season for the 73 team. Second place car is the 77 of Torrent Motorsports. The 77 car started from the pits, stayed out of trouble and finished second. It is simple as that. 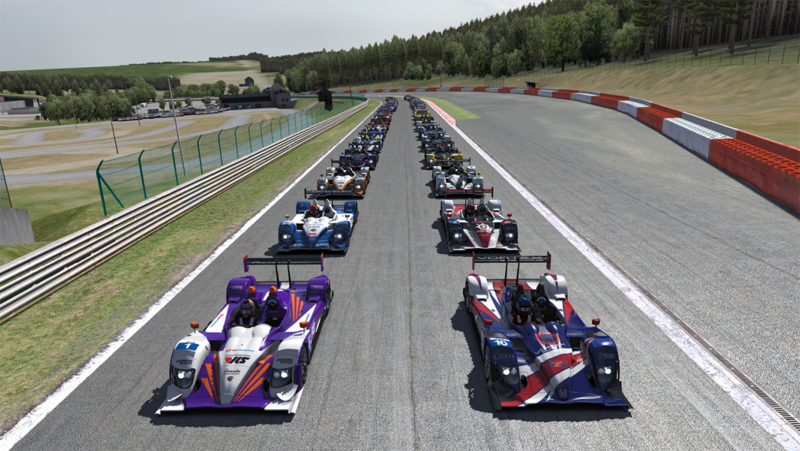 Despite the troubles during the race, SimRC.de managed to fight back to third place. The 78 did not finish worse than third this season, which is an amazing achievement by the team. The 88 car of Racing Lions finished fourth after a troubled start for them. Minor damage caused them to lose a couple of minutes in the race. But a great recovery drive by the team to bring the car home in fourth. In fifth it is the Gathering of Tweakers 2 team, who did not have the pure pace this race. A late race penalty because of contact caused them a couple of positions. The 82 car of Virus finished sixth. In the middle part of the race they had good battle with the Racing Lions Ford GT. Asbury Motorsports finished in seventh after major problems in the final part of the race. Contact with the 99 car caused them major (and ridiculous unfair) damage and lost many positions. IRDK Assault Racing finished in eighth after major technical difficulties in the final hour of the race and connection issues earlier in the race. 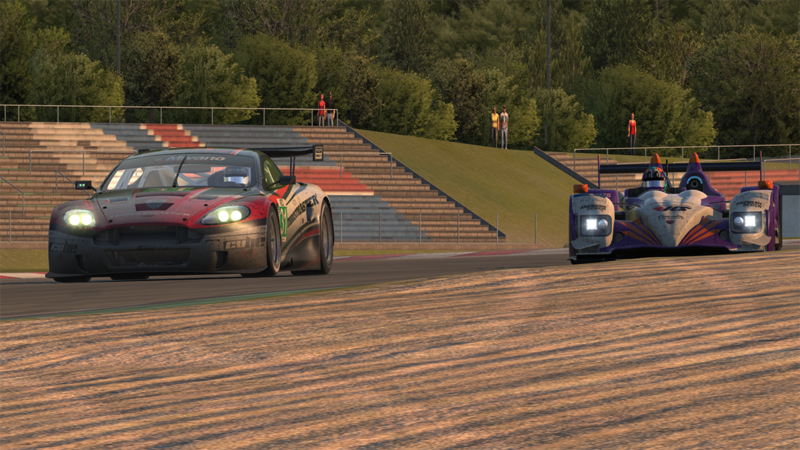 At Monza SimRC.de were already crowned as the GT2 champions, and this shows their dominance in this season. Fenix Motorsports FGT takes a solid second place over the third placed Torrent Motorsports GT2. Go to the standings page for the full championship standings in GT2. The full results and championship standings are available on the NEO website. The replay of the full race is also available, on-demand, in the NEO race archive. This concludes the second season of NEO Endurance Series. The organizers, and race stewards, would like to thank all participants, Racespot, partners and viewers for following the championship in an exciting season. To stay up to date and for more information about NEO Endurance, go to neo-endurance.com.